I have been on the hunt for the perfect tea advent calendar. While my local dollar store has a chocolate advent calendar for the low, low price of $1, there are many tea advent calendars available out there that are full of tea. Tea sachets, loose leaf tea, matcha – the sky is the limit, but there is no limit on price! I’ve come across tea advent calendars that vary anywhere from $35 to $150 (after currency conversion, although I did not take into account the shipping costs or potential customs & duties). But goodness gracious, I just don’t have it in me to drop $150 on a calendar, regardless of how good it may or may not be. It may not surprise you that I have a lot of tea in my tea stash. So when faced with the idea of buying a $150 advent calendar, which was really enticing, it was pointed out to me that I had enough teas to come up with my very own custom DIY Tea Advent Calendar. At first I protested, because there was just no way that I had 24 teas to have for the first 24 days of December. And then, upon reevaluation of my tea stash, I realized that I doth protest too much. I could easily come up with 24 teas that I would love to have over the course of the month. And that’s not even including the new-to-me tea that I purchased at the Vancouver Tea Festival earlier this month – should I be embarrassed at this point? Should I just embrace my tea enthusiast lifestyle? Anyways, I opted to do a 24 day Tea Advent Calendar because I’m going to be having Christmas morning at my parents’ house, and having tea with them (and they have a huge tea stash too! The apple does not fall far from the tree). 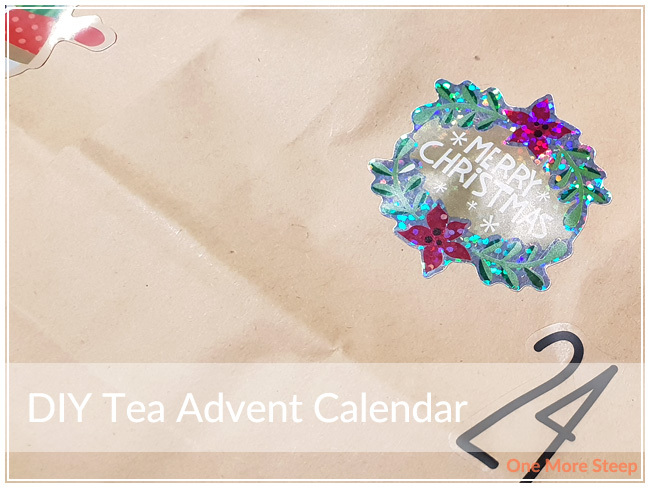 I do love the idea of having a tea designated for Christmas morning, so if you’re wanting to do a 25 day Tea Advent Calendar that is totally okay too! Of course, since I am putting together a tea calendar for myself, I know exactly what teas will be appearing throughout the month (if you continue to scroll down, I list out the teas that will be featured throughout the month of December – not in order). * If you’re going this route, don’t forget to include information about the tea on a piece of paper and tuck it into the envelope unless you’re into the idea of mystery tea! Some information you’ll probably want to know: type of tea, steeping temperature, steeping time. If the tea company doesn’t provide you with steeping instructions, check out my guide to Steeping Times for Different Teas! I am using a mix of commercially made tea sachets and loose leaf teas. My first task was to decorate the 24 envelopes, because I consider that to be the more ‘fun’ aspect of this project. I stacked the envelopes and shuffled them with the number side facing down so I was blissfully unaware of which date I was filling. I stuffed the envelopes, sealed them with an appropriate holiday sticker, and then arranged them in numerical order. My DIY Tea Advent Calendar is now sitting by my kettle, waiting eagerly for December 1st so I can drink my daily cup of tea. 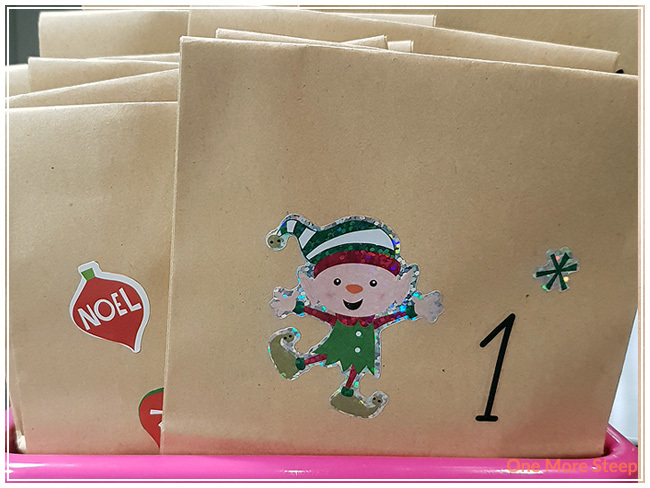 You still have time to put together your very own DIY Tea Advent Calendar! Or give as a gift to your favourite person! This whole process took me about half an hour – not including the purchasing of the tea. If you’re short on tea, I recommend picking up a sampler box of tea sachets from your local tea shop or grocery store as it’ll help round out your 24 (25) teas. 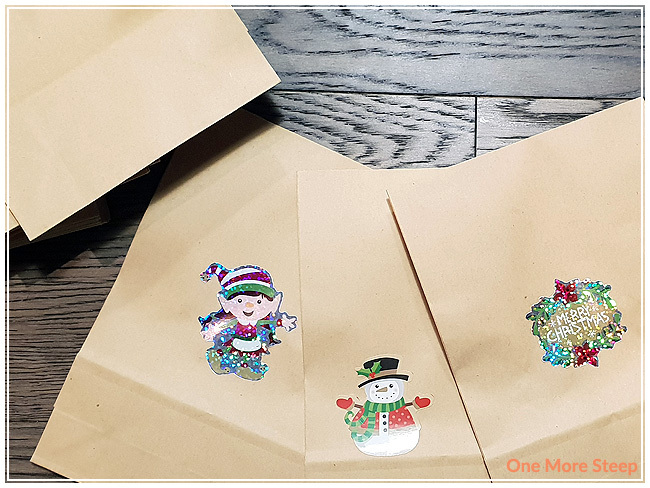 You can find envelopes, stickers, and markers at your local dollar store if you don’t have any on hand – or you can raid your favourite child’s arts & crafts box for the goods. And if you’re curious for spoilers about my DIY Tea Advent Calendar, here are the teas that I put into my calendar. I randomly stuffed my envelopes after I had decorated them (shuffled, and put them face-down), and then rearranged in numerical order when I was done. I will be sharing what teas I drank each day on my Instagram Stories (you can follow along on @onemoresteep). From T2 (all black teas): Black Rose, Blue Mountain, Chai, Creme Brulee, Earl Grey, French Earl Grey, Ginger Spice, Melbourne Breakfast, Monk Pear, and Terrific Toffee. From DavidsTea: (herbal/fruit infusions) Just Peachy, Strawberry Rhubarb Parfait, Pear Blossom, Me to We Kenya, Forever Nuts, (mate) Just Beet It, (black teas) Candy Cane Crush, Santa’s Secret, (rooibos) Birthday Cake, and (green tea) Butterfly Jasmine. From unknown tea companies (these teas were gifts): tangerine pu’erh and (green tea) tai ping hou kui. This is really quite a clever idea, and I’m stashing it away in my head for next Christmas. I should definitely make a tea advent calendar for family!